"Dual Stack" Will Deliver IPv6 Connectivity. The Internet world is shifting to an entirely new IP address format because we've run completely out of current IPv4-type addresses. And it's a serious issue. The new IP address format is called IPv6, and it's been around for a while, waiting in the wings. The IPv6 format creates an IP address with a much longer number, which allows for a great many more IP addresses—so many, we should never run out again! One significant problem is that the two IP address formats aren't compatible and total conversion to IPv6 is a way off. 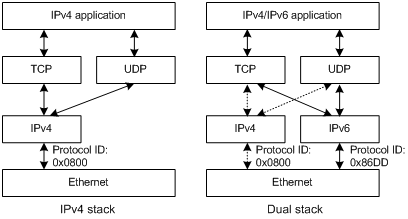 Until we're an IPv6-only world, Internet Service Providers (ISPs) need to provide their customers with Internet connectivity, whether the host-to-server (you to a website) connection is IPv4-to-IPv4 or IPv6-to-IPv6. Fortunately, there is a plan. Dual stack to the rescue. ISPs have chosen an IP address transition method called dual stack. 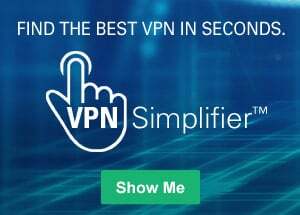 With the dual stack solution, every networking device, server, switch, router and firewall in an ISP's network will be configured with both IPv4 and IPv6 connectivity capabilities. Most importantly, dual stack technology allows ISPs to process IPv4 and IPv6 data traffic simultaneously. What does this mean to you? You'll be able to keep surfing the Internet without wondering if your connection will stop working because of the IP address conversion. By going to WhatIsMyIPAddress.com, you'll be able to see if you're connecting with an IPv4 address, an IPv6 address or both. If you see only an IPv4 address on your laptop or desktop computer, your Internet provider isn't delivering dual stack connectivity yet. You'll likely see an IPv6 address on your smart devices, or a combination of an IPv6 and an IPv4. What are you seeing right now on your computer? Click to find out.